Ah, the sea. The boundless blue. What is it about this trackless expanse that so captivates us? For the entirety of human history, bodies of water (oceans and seas alike) have been a fixture of our most timeless tales. From the ancient flood myths of the Near East and Homer’s Odyssey to more modern tales such as In the Heart of the Sea, storytellers have turned to the waters for help in their art. But why is that? And how can we, as today’s generation following in the footsteps of the great, do the same? The sea, of course, is the true birthplace of life, in more ways than one. Life itself arose in the seas, as we know from science, but we can also say that civilization was birthed by the sea. While early humans started out in Africa, they quickly found their way to the coasts, and many of our oldest artifacts are related to fishing, to reaping the bounty of the sea. All around the world, we see the same pattern, and it’s no wonder that the Mediterranean, an ocean writ small, is the backdrop for Western advancement. Much later, in the Age of Sail, Europeans took to the vast Atlantic, then the Indian and Pacific; others had already been there, of course, and their stories are equally interesting. Even today, when so many of us (myself included) focus on that more infinite sea above, the oceans of the world tug at the imagination. I can’t even swim, and I find myself amazed at the America’s Cup. As well, one of my favorite survival stories as a teen, alongside Into Thin Air, was that of Tony Bullimore, whose yacht capsized during the Vendée Globe around-the-world race. Add in The Perfect Storm and a few others, and you’ve already got quite the repertoire just in the last couple of decades. And that, I believe, is because the sea fills a very important niche. It’s a wilderness unlike any other. Even the most hostile desert gives us a place to stand. A mountain has an easily recognized goal. The barren tundra of Antarctica still lets us control the direction in which we move. Yet the open ocean does none of that. It’s a true blank slate, and a place where (until the advent of steamships) mankind was so obviously out of place that he had to surrender to the mercy of the terrain. The sea, then, can almost be like a metaphor for life. We don’t always know where to go, what to do. And even when we do, that’s no guarantee that we have the power to get there, or to even take the first stride in that direction. And the sea is also a living thing. It has moods, as any sailor would tell you, as well as its own set of dangers. Storms are the most notable among those, whether hurricanes, cyclones, or merely the random squalls of the tropics; any good sea story is going to involve a storm at some point. Rogue waves, once believed to be sailors’ tall tales, really can strike, and they hit with a force as great as any weapon. But then we must also add the paradox of sea travel: the calm. Where else can good weather be bad? For a story, it might be best to think of what you want from the sea, and that requires you to think about what you want from the story itself. First of all, what’s the setting? In today’s world, as well as more futuristic times, we don’t think of the oceans as being all that important. Other than The Perfect Storm (which took place in 1991) and a number of heroic WWII accounts, the last century has seen a kind of turning away from the sea. When we look ahead, we think of space instead. So, for a modern or postmodern setting, you really have to try to make the sea distinct, if you’re going to use it as something more than a backdrop. Why are your characters on a boat, for instance, instead of taking a plane? For a disaster tale, it’s a bit easier, but that obviously doesn’t fit every work. Going back in time, it becomes ever easier to work the sea into your story. As recently as 100 years ago, crossing the ocean meant actually crossing the ocean. Five centuries ago, even that was almost impossible. In between, we have the golden age of sea travel, where we find pirates and explorers, buccaneers and missionaries and the great naval battles of history. For that era, the sea was the frontier, as space is for us today. It was the board on which the games of power were played. A story set in those days can be about a voyage at sea, and it can take advantage of the distance, the disconnection, of being out of sight of land. That time also neatly intersects with the typical fantasy timeline. The High Middle Ages in Europe were before the compass, before the galleon, before the other advances that tamed the ocean. Yes, the Vikings sailed to America a millennium ago. On the other side of the globe, Polynesians had colonized hundreds of Pacific islands by that same time, some thousands of miles away from any other land. We can have some fun with that, but the more “traditional” fantasy cultures are going to look at the sea as more of a boundary than a frontier. (Unless you start adding in advanced seafaring races, in which case they’ll be more like the Age of Sail.) Thus, an exploratory voyage could make an interesting story in its own right, as in Paul Kearney’s Monarchies of God series. Mostly, stories set on the high seas tend to have some element of warfare involved, if only because that’s how we see this exotic locale. That is a function of our history, but also of necessity: out there, there’s not much else to do. And fighting on the ocean, out of contact with the homeland, frees characters from the rules of engagement. After all, who’s going to know? That doesn’t mean that every sea story has to have cannons or swashbuckling rogues, but it is common. Equally common is the disaster, whether a ten-story wave slamming into a ship, a hurricane battering it for hours to days, or just the simple lack of winds leaving it adrift. Like the desert, the sea can be an excellent place for a tale of survival. In a way, it works even better, because it adds the conundrum of being surrounded by water that is effectively poisonous. I’m sure there’s a metaphor in there somewhere. Last, the sea can be a setting, a place where the action unfolds. An anthology-like story might involve island hopping, because islands in the ocean can be far enough apart—especially in pre-modern times—that news can’t easily travel between them. Much like a space opera where the crew skips from one planet to the next, the sea provides the perfect reason for why these adventures are independent. I could say much more, but I’ve rambled on long enough. Hopefully, I’ve given you something to think about. Our world is 70% water, and that majority portion really can seem endless when you’re standing on a beach or pier. But our imaginations truly are without boundaries. Put the two together, and it’s no surprise we have turned to the sea for some of our greatest stories throughout the ages. A new series begins. A new adventure begins. And this one is in space! Space is a frontier. Space is an adventure. Levi Maclin was always interested in the vastness of space. He dreamed of sailing through the void, exploring new worlds, seeing alien suns. This summer, he hoped to have his chance. Instead of going to beach for their vacation, his family would travel across light-years to Outland Resort, humanity’s most distant colony, its farthest frontier. It was a getaway, an adventure, a dream come true…until it wasn’t. Some vacations are ruined by hurricanes, others by blizzards, but Levi’s falls apart when a series of unidentified objects streak across the sky above Outland Resort. They aren’t meteors. They aren’t comets. They’re weapons, weapons trained on the resort and its whole world. Suddenly, his adventure takes an unexpected turn. As concern turns to panic, he can only think one thought: how did it all go so wrong? This is one I’ve really been looking forward to putting out there. Think of it almost like The Expanse for kids, in a very vague sense. It’s told from the point of view of a small group of children and teens (POVs range from 11-17 in this one, but they’ll get older as time goes on), but don’t think that means there’s no drama involved. This is a serious story, or at least I intended it to be. The characters act young and immature, but they step up when needed. Most of all, what I wanted to create with Innocence Reborn was something fun. In my original notes, the series was codenamed “Space Adventures”, because that was what I set out to write: the adventures of a bunch of kids in space. Later on, I’ll do a postmortem for the book, where I go into detail about the setting and my expectations. For now, just enjoy reading it. 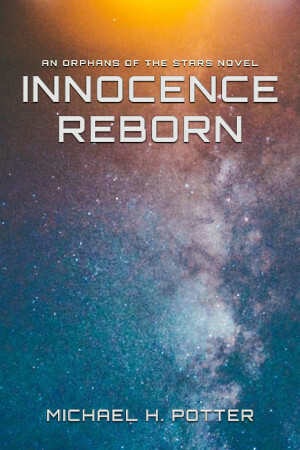 You can pick up Innocence Reborn for a mere \$3/month on my Patreon. That same pledge also gets you access to Nocturne, Before I Wake, and the complete series of The Linear Cycle and Chronicles of the Otherworld, so there’s really no reason not to give it a shot. And stay tuned for future installments of this series, as I’m currently working on the sequel, Beyond the Horizon, and the adventures are far from over. The main storyline of Chronicles of the Otherworld follows a group of eleven college students who are transported from an archaeological site in Mexico to a planet inhabited by descendants of the original settlers of the Americas. Over the course of eight books, 64 chapters, and some 400,000 words, they learn to live in this new world, and one of the primary barriers they run into is that of language. For this land is not Mexico, and the speakers use a language wholly unknown to our world. As the Otherworld setting originated as a linguistic playground, it stands to reason that I would place heavy emphasis on the speech of its natives. And I did. The first native words appear almost as soon as the first native shows up, in Chapter 8 of Out of the Past. (That’s the main reason why Jeff, the linguist character, has the perspective for that chapter.) As I write this, I’m a couple of weeks removed from finishing the 19th story in the setting, and new words and phrases are still popping up. This is by design. It’s not that I’m trying to make the story hard to read, but it follows my preference for limited-perspective narration. The characters don’t always know what these words mean, so I leave them untranslated. Once they start gaining comprehension, the fake language slowly shifts to English. As the books progress, the native terms become fewer and farther between. Entire conversations can pass without them, but the reader is aware that the Earthlings are talking in a decidedly unearthly tongue. To make this somewhat more believable, the primary language of the setting—at least in the area where our story is concerned—couldn’t be too complex. Indeed, it has to be fairly simple, which led me to a conundrum. As you may know, the indigenous languages of the Americas are widely regarded as some of the most complex on the planet. They use unfamiliar sounds, unusual grammatical categories, and distinction that Indo-European languages either ignore or gloss over. Even if I did know enough about them (and I don’t), I doubt I could create something derived from, say, a Mayan language, let alone something a few kids in their twenties could pick up in less than three months. Fortunately, that’s where the backstory helps me. The languages of the Otherworld don’t have to be derived from existing Amerind languages. They don’t even have to come from their ancestors. Because I placed the divergence point so far in the past, I consider myself to have almost free reign. 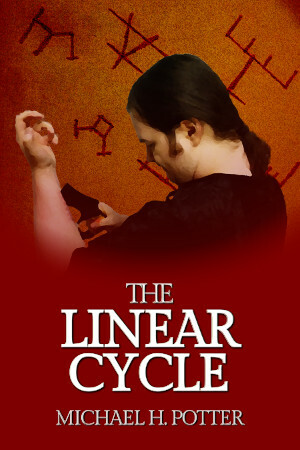 After all, the last connection between our world and that one was at the end of the Ice Age (as confirmed in A Peace Shattered, Chapter 7). That’s about twice as much time as you need to evolve the whole Indo-European family. Given that many centuries, anything can happen, so I felt comfortable creating something entirely from scratch. And thus we have what the natives call Virisai, the speech of the Virissea. In the next post, I’ll start going into greater detail about the language itself, but I’ll finish this one with a bit more philosophy. First off, I’ve been adamant that the conlangs I make for Otherworld need to be written, and written easily. These are books, novels, and I feel that throwing in a cacophony of diacritics is just going to turn people completely off. (Yeah, because the story wouldn’t.) Also, I want something that isn’t too hard to pronounce, both for the characters’ benefit and because I imagine Chronicles as a TV series. Media conlangs aren’t complex, unless they’re Klingon. So Virisai doesn’t have a horribly baroque phonology. As a matter of fact, it’s quite tame, especially compared to its supposed relatives in our world. There’s no /f/ sound, but that’s not too unusual; actually, my oldest active conlang, Suvile, has the same restriction, so maybe it’s a personal thing. The main /r/ sound is more like that of American English rather than, say, a Spanish-like trill. About the only real sticking points are the long vowels—it’s a proper length distinction, one of quantity rather than quality—and the odd realization of /v/, which does come out closer to Spanish ([β̞], in case you were wondering). Grammar-wise, it’s also nothing too out there. I could have thrown in antipassives or some other bizarre (compared to Europe) ideas, but I didn’t. That’s not to say there aren’t oddities. Virisai does have a case system. Its genitives are head-marked, which is fairly weird. There’s a suffix -te used for things like naming, and that can catch the unwary. All in all, though, I’ve endeavored to make this a beginner-friendly conlang, something that wouldn’t be too difficult to pick up. The vocabulary is entirely unlike anything anyone on Earth knows, but that’s probably the hardest part. Later on, we’ll delve more deeply into that, as well as the other languages of Otherworld. For now, enjoy “The Code Breaker” and the rest of A Bridge Between Worlds.